Our monthly newsletter freebie typically doesn’t come out until the first of the month but because this is Easter-themed, I wanted to release it a few days early. 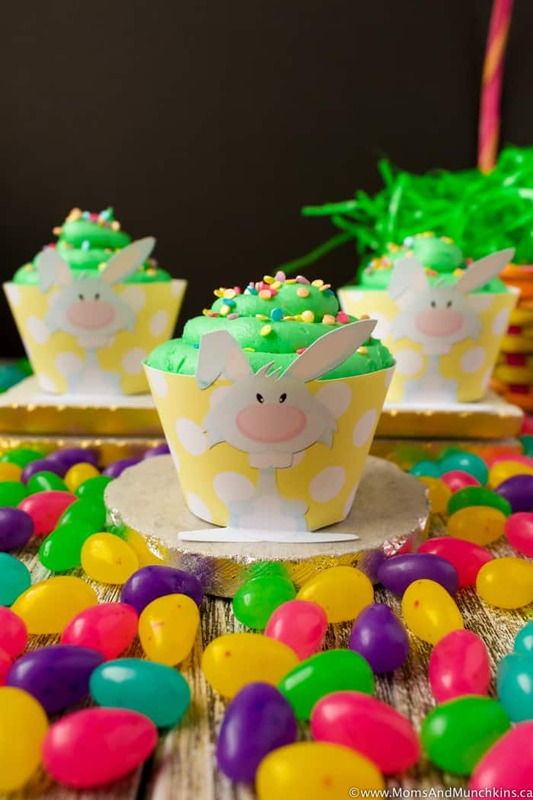 You’ll want time to make your cupcakes to get them ready for these adorable bunny cupcake wrappers! 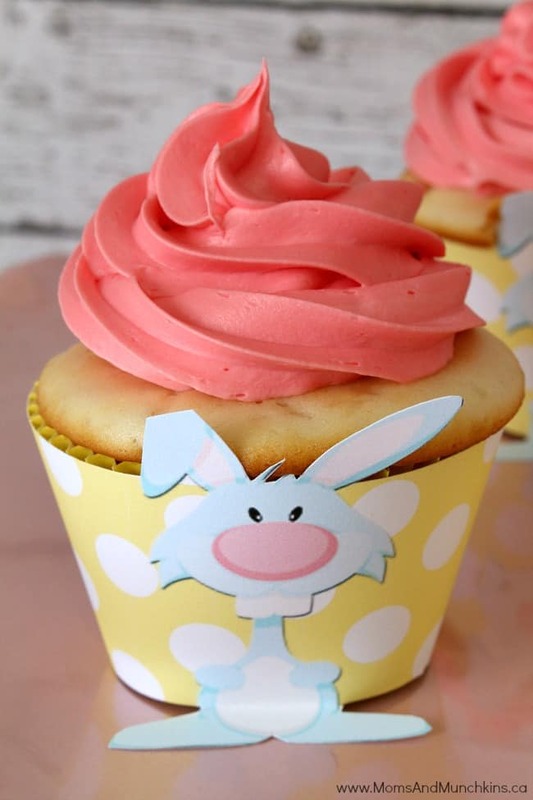 These cute printable bunny cupcake wrappers pop (or should I say hop) right up from the wrapper! His cute hair and ears are above the wrapper and his feet are below the wrapper. Simply fold the feet forward when assembling your wrappers. You won’t be able to cook cupcakes in these, of course, but you can put them on your cupcakes after they’ve come out of the oven and cooled. Simply print the free printable file, cut out the wrappers, fold them around your cooled cupcakes, secure with glue or a piece of tape at the back. These Bunny Cupcake Wrappers are available for FREE for our monthly newsletter subscribers! Signing up is free & easy. 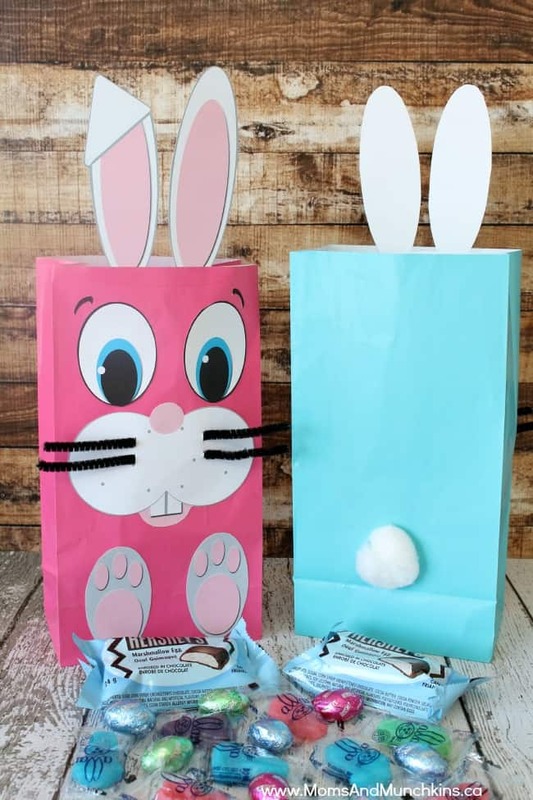 We have over 6000 subscribers that enjoy the special freebies each month like these cute Bunny Bag Printables! Simply enter your email address, confirm your subscription, and you’ll be directed to a Thank You page with a link to the freebies page along with the secret password. This link and password will also be repeated in each of the monthly newsletters. Visit our Easter page for even more free printables, Easter party ideas, sweet treats and so much more! We’re always adding new ideas for holidays and family fun. Never miss an update by following us on Facebook, Twitter, Pinterest, and Instagram. These wrappers are absolutely adorable! So cute for an Easter Day treat. That icing colour is stunning. Can I ask what type of colouring you use? Hi Diana! I use Duff Goldman Primary Color Gels. This particular one was “red”.